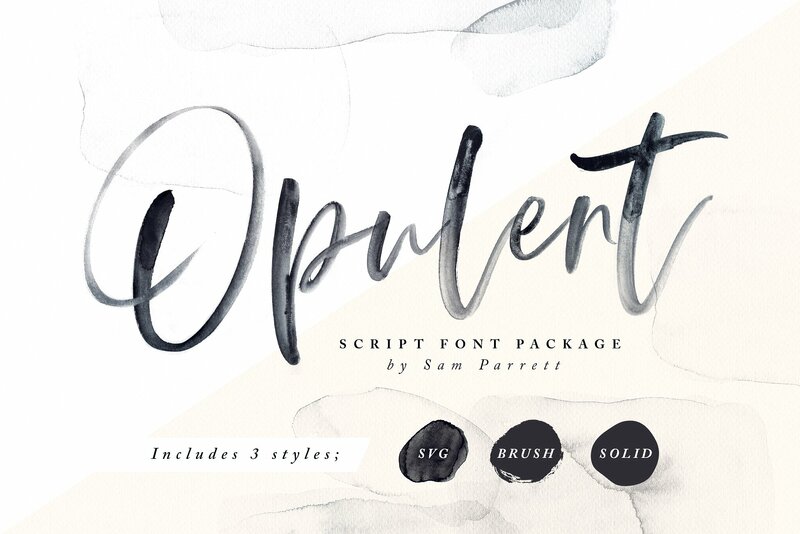 Opulent is a three styles (SVG, Brush & Solid) handmade scripted font created and published by Sam Parrett, an UK based type designer from Bristol. Opulent is an unique type as it comes in 3 different forms: Opulent SVG (this can be used to create stunning hand-lettering font with high-definition watercolour textures), Opulent Brush and Opulent Solid. For increased realism, Opulent includes glyph alternates to mimic the randomness of natural hand writing and multiple language glyph support. I believe you can really create extravagant art using Opulent font. A font description published on Tuesday, May 29th, 2018 in Fonts, Sam Parrett by Andrei that has 2,833 views.